My daughter and I love the saying “I love you to the moon and back”. It’s something we’ve been saying to each other for a while now. She will ask me the meaning and I tell her about how far away the moon is and how that means I love her A LOT. We all love looking at the night sky and observing the brightness of the stars, the shape of the moon and darkness of the sky! My kids also LOVE art. They get excited about every Amazon package that arrives with new crafting items. And admittedly, I get giddy as well! 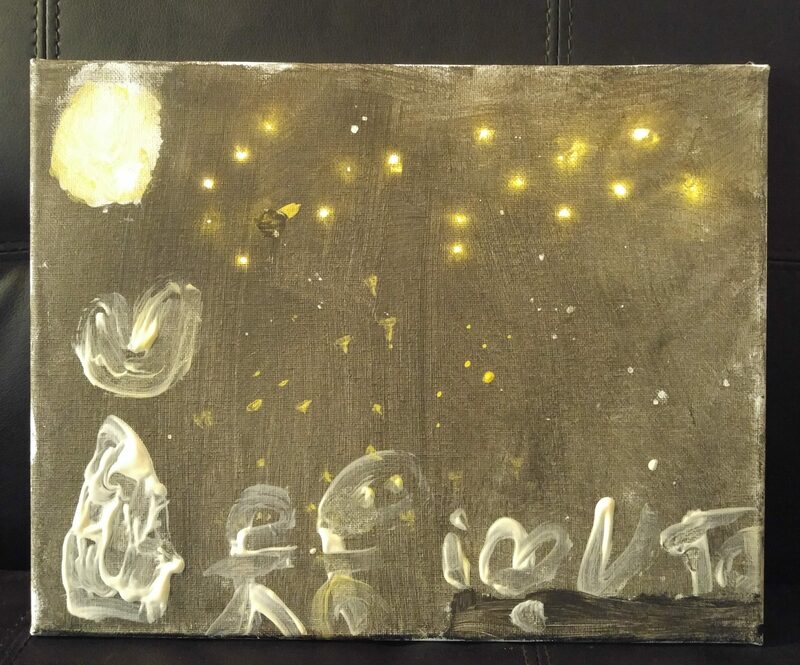 I decided to fuel my kids’ interest in the night sky and set them up to recreate it on a canvas. When I discovered LED moon lights I thought I was going to lose.my.mind over them! 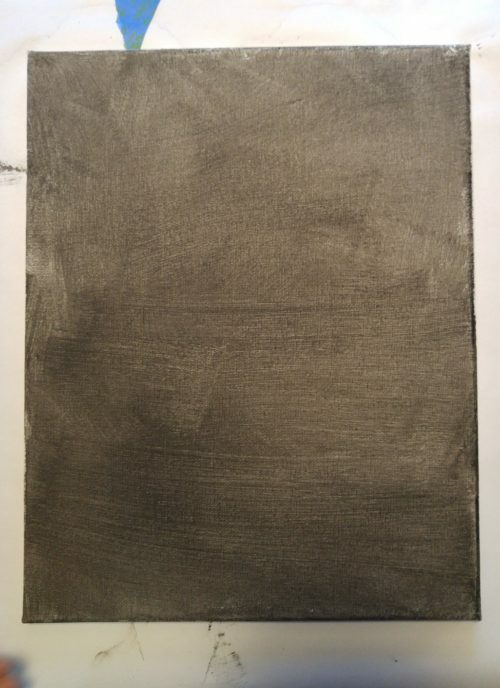 First, the kids painted the entire canvas black with the large paint brush. Then, we set them in front of a fan to dry them quickly. 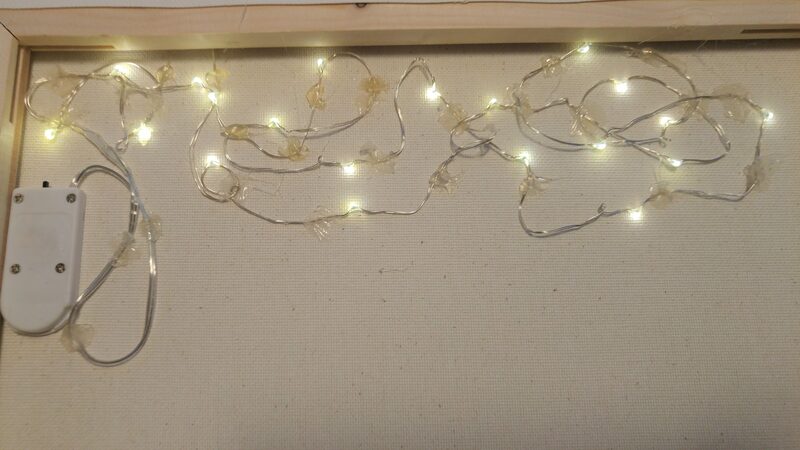 After the black paint had dried, I used the hot glue gun to glue down the LED lights and the battery pack, on the back of the canvas. 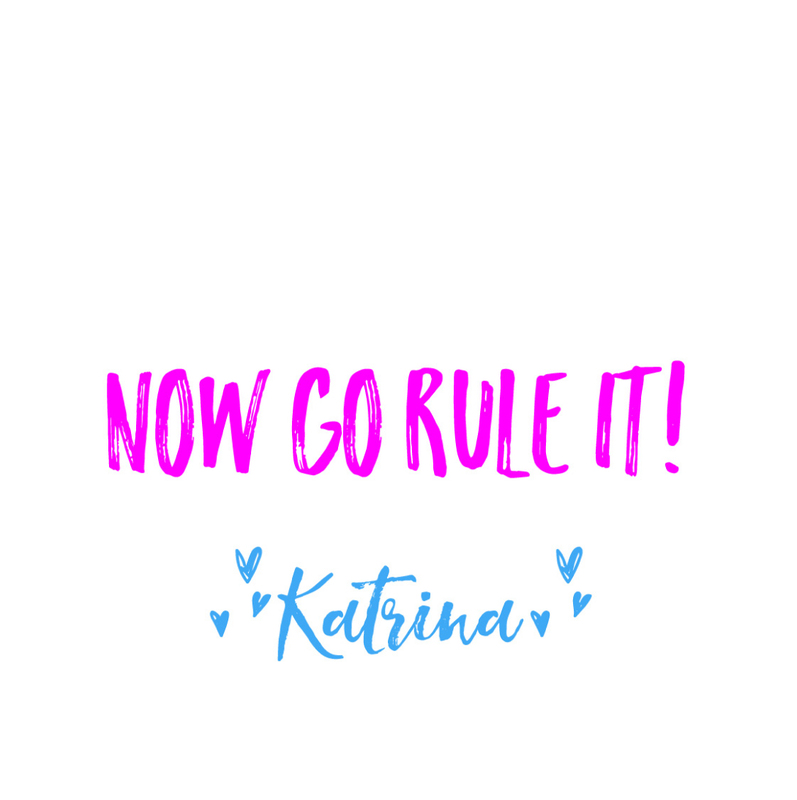 This step takes patience to get them properly situated! Deep breaths! 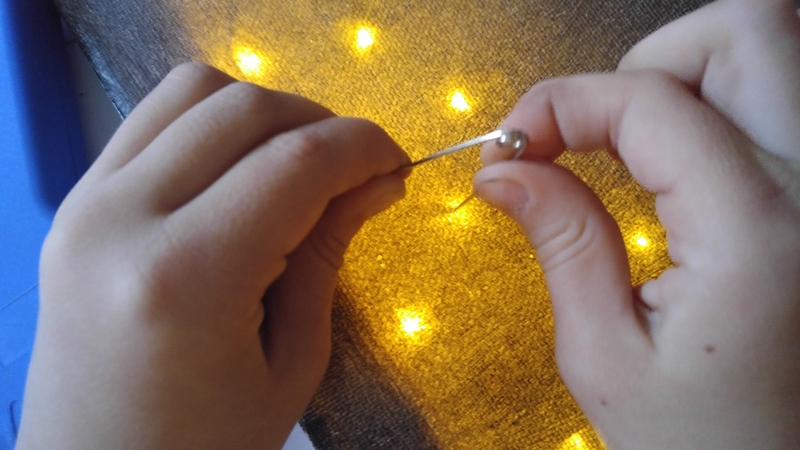 Next, turn on the lights and use the safety pin to gently poke through the canvas where each light is seen. This step can be done by your child, with proper supervision. 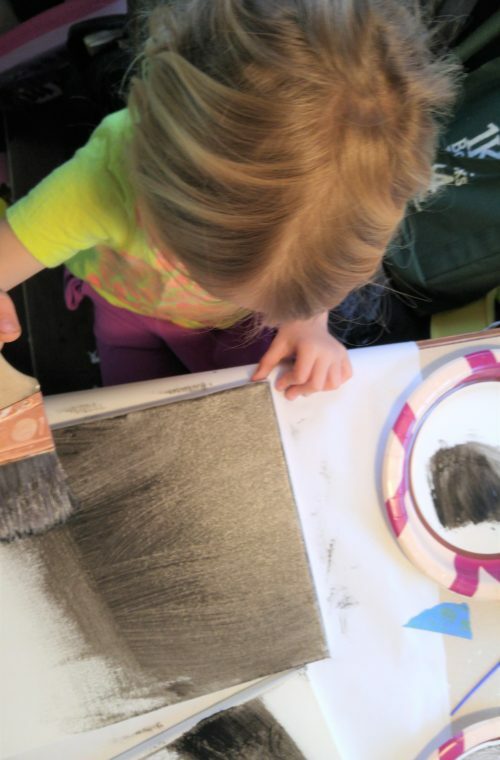 After the holes have been poked, your child can paint the rest of the canvas as they wish. Encourage them to think about what else is in the sky besides stars (like the moon)! 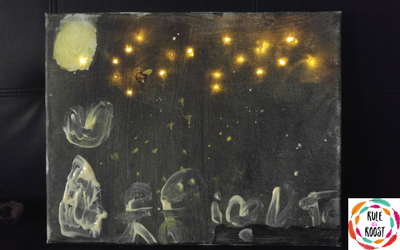 Let the canvas dry, then hang on the wall and ENJOY! For more night sky fun, you can grab my Phases of the Moon Observation sheet! 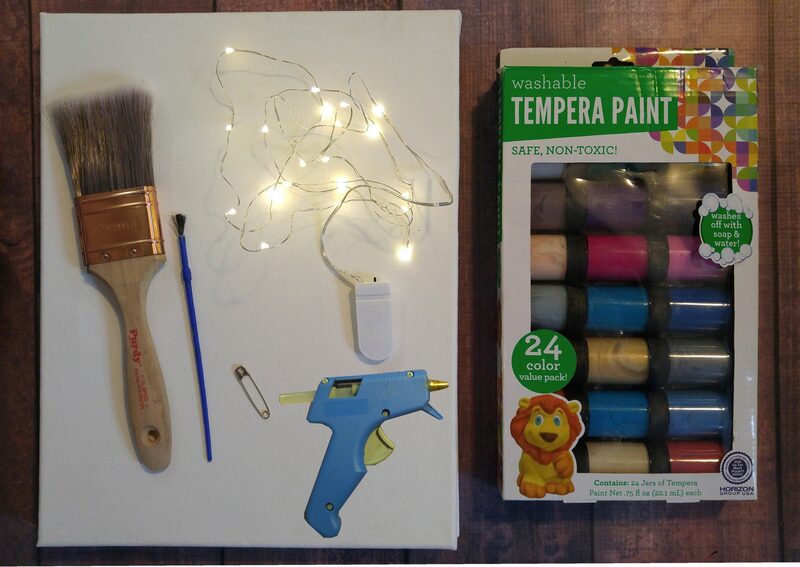 It’s fun for most ages and is great for journaling! 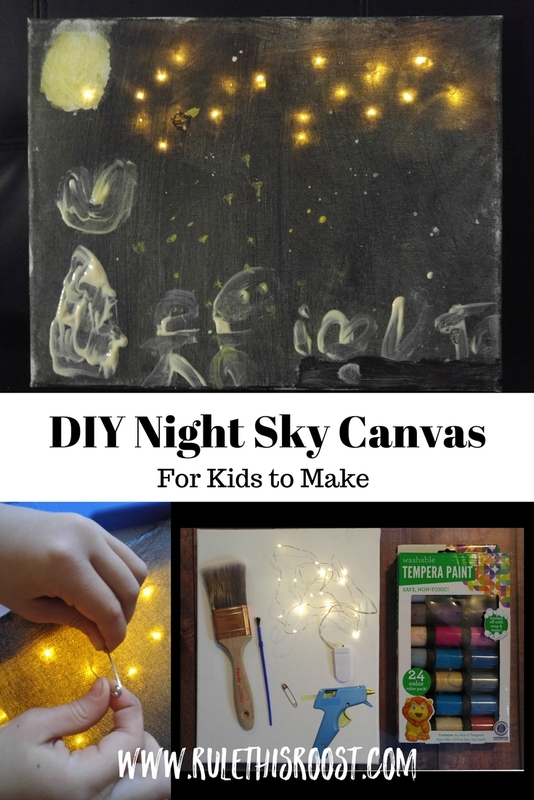 How did your night sky canvas turn out? Let me know in the comments below!